No longer can governments decide the world’s fate irrespective of their own and other nations’ publics. Both “old” and “new” media mobilize publics as never before. Leaders consult stakeholders, carefully analyze public opinion on a daily basis, and seek to shape media support. Deeply held values and cultural norms affect public perceptions and judgments about issues. Government agencies carry out public diplomacy increasingly in tandem with non-governmental organizations and trans-national institutions. These organizations also have their own agendas for domestic and world affairs. They might partner with a government agency at one time, and, in other times, oppose or pressure their own and other governments. With our own vigorous domestic discourse and the ongoing belief in paying a “… decent respect to the opinions of mankind …,” the United States has long sought to understand and work with publics abroad, directly through U.S. Government-sponsored or facilitated activities and increasingly with non-governmental organizations. Some argue that public diplomacy is conducted directly or facilitated by the U.S. government toward international publics. Others extend the definition to citizen-diplomacy, manifest increasingly in a host of specialized pursuits such as the environment, science and technology, sports, health, cultural and educational exchange, and the arts. While the United States has been active in the field of public diplomacy the longest, it is by no means the only government that focuses on improving the understanding of its history, culture, society, motivations, etc. Two professional organizations, the Public Diplomacy Council and PDAA – Public Diplomacy Association of America, foster greater understanding of this field of endeavor and promote more active participation by the American public. PDC, made up of diplomats and educators, informs interested publics about the field, promotes professional standards, and mentors public diplomats in the U.S. government. The PDAA is a membership organization, open to anyone who is interested in this field. It seeks to keep members abreast of new developments and trends and to gain recognition for public diplomacy achievements through annual awards. Together the two organizations provide interested publics here and abroad a gateway to international engagement. The Public Diplomacy Council is a U.S. -based nonprofit organization committed to the academic study, professional practice, and responsible advocacy of public diplomacy. The Council offers associate membership to practicing PD professionals, and invites retired Foreign Service Officers, scholars and other experts to full membership status. See our Membership Page for more details. We publish a listing of the top university programs for public diplomacy, mentor PD professionals in collaboration with partners, and advocate for professional standards and support. You can read members’ views on our Public Diplomacy Blog. Membership: The Council offers associate membership to practicing PD professionals, and invites retired Foreign Service Officers, scholars and other experts to full membership status. See our Membership Page for more details. The Public Diplomacy Association of America (PDAA), an association for public diplomacy professionals and formerly the USIA Alumni Association, is a not-for-profit, voluntary, 501(c)(6) organization, with some 400 members. PDAA members have worked in or with the information, education, and cultural programs that the U.S. Government incorporates into the conduct of its diplomacy. Its membership is open to anyone interested in public diplomacy as it is practiced abroad. Awards Program: The Public Diplomacy Achievement Awards are given each year to professionals in government agencies or non-government organizations whose work makes a difference in projecting American policies, ideas, and culture to the rest of the world. In partnership with the PDC and the USC Annenberg Center on Communication Leadership and Policy, the Council sponsors the First Monday Forum, a monthly discussion that brings together a cross-section of Washingtonians from public diplomacy and international broadcasting. PDAA, the Public Diplomacy Association of America and formerly the USIA Alumni Association, is a not-for-profit, voluntary, 501(c)(6) organization, with some 400 members. PDAA members have worked in or with the information, education, and cultural programs that the U.S. Government incorporates into the conduct of its diplomacy. 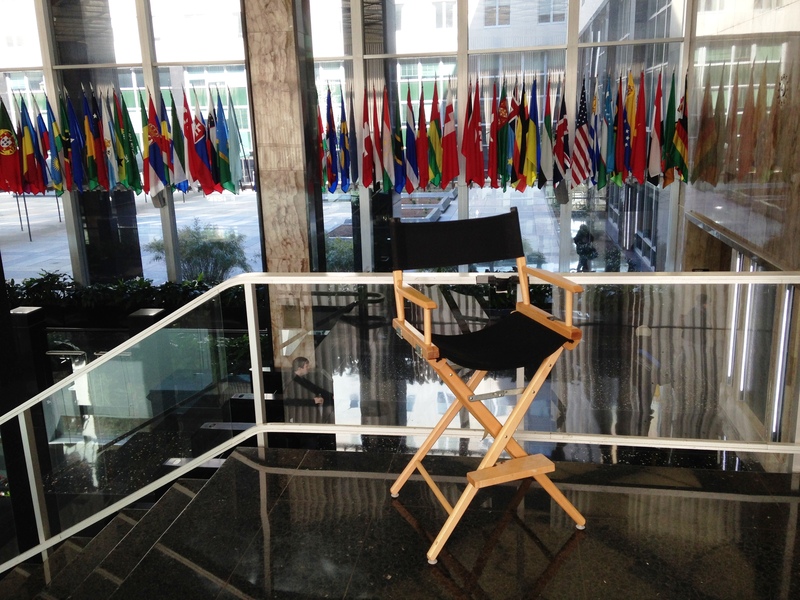 Its membership is open to anyone interested in public diplomacy as it is practiced abroad.